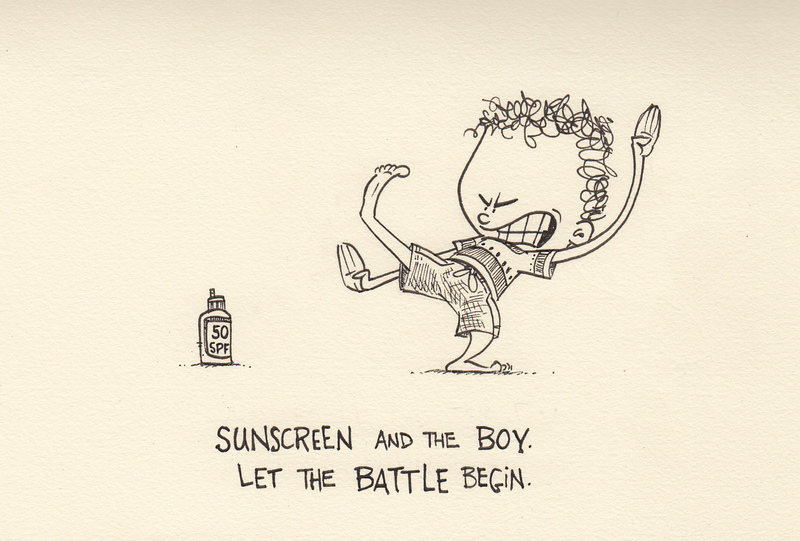 This entry was posted in Health and Wellness, Parenting and tagged battle, daddy blogger, drawing, ink, parenting, parenting skills, parenting tips, sketchbook, sun, sunscreen by artofdad. Bookmark the permalink. LOVE IT!!!!!!! Thanks for that chuckle – that’s exactly what it is. I am very familiar with this battle! I wish there was a sunscreen pill the kids could take. It would have to be a gummy pill that tasted like candy and lasted for a week! They hate it SO MUCH. Funny isn’t it because the pain of a sunburn is SOOOO much worse. We can’t win either way!